This 50 favors shot glass says both party and practical. 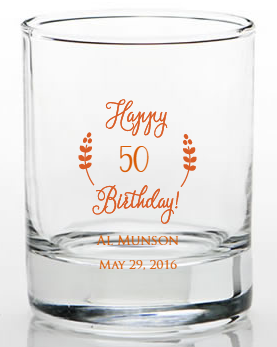 You want to do something special, and personalized 50 birthday favors like this shot glass is thoughtful way to do it. Here are some 50th birthday party ideas which are sure to make your birthday girl or boy smile. Use this as as a measuring glass, a two bite dessert holder, a party hat? OK, maybe not a hat. 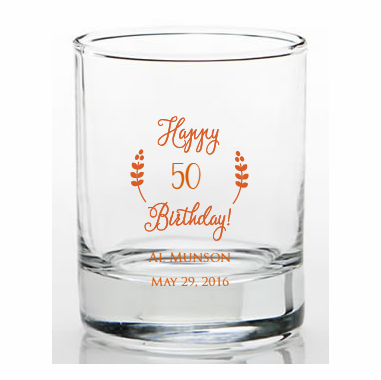 Of course you can also celebrate the 50th party with a shot, or two. 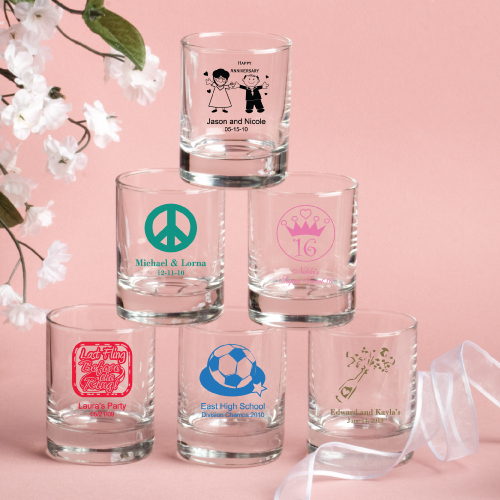 Each 3.5 ounce clear shot glass measures 2.5" tall x 2" round and is made of clear glass with your choice of design silk screened on the front. You choose from a wide variety of ink colors and designs/themes. You can also design your proof online. These favors come bulk packed.